A pack of laser cut card post & rail fencing with 4 stiles and 4 footpath signs. A very versatile kit with a wide range of uses on your TT scale model railway layout or 1:100 diecast diorama. 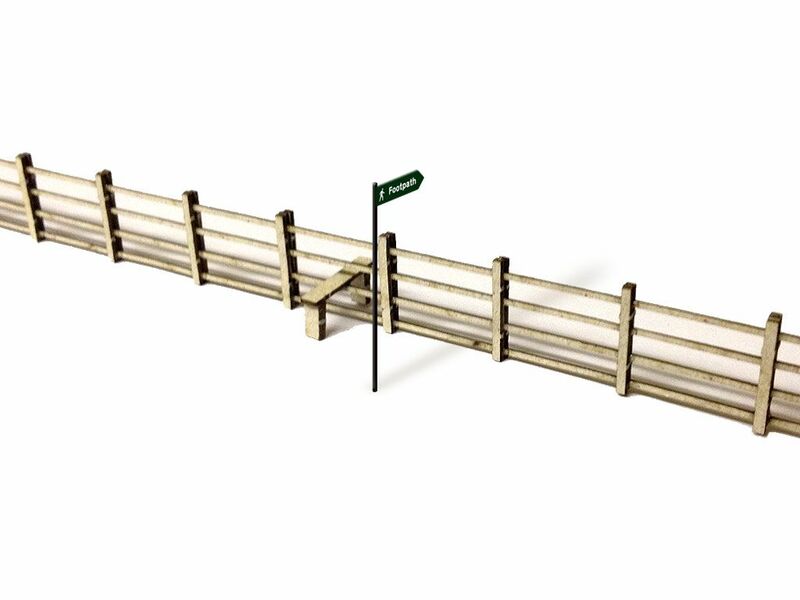 This fence stands a scale 4ft high (12mm in OO gauge) and is flexible enough to be used around curved track & roads, yet sturdy enough when assembled to stand the test of time on your layout. Supplied pre-cut with 6 strips of fencing, plus four styles & four signs. Easy to assemble. Can be painted using artists acrylics or left in its natural colour. 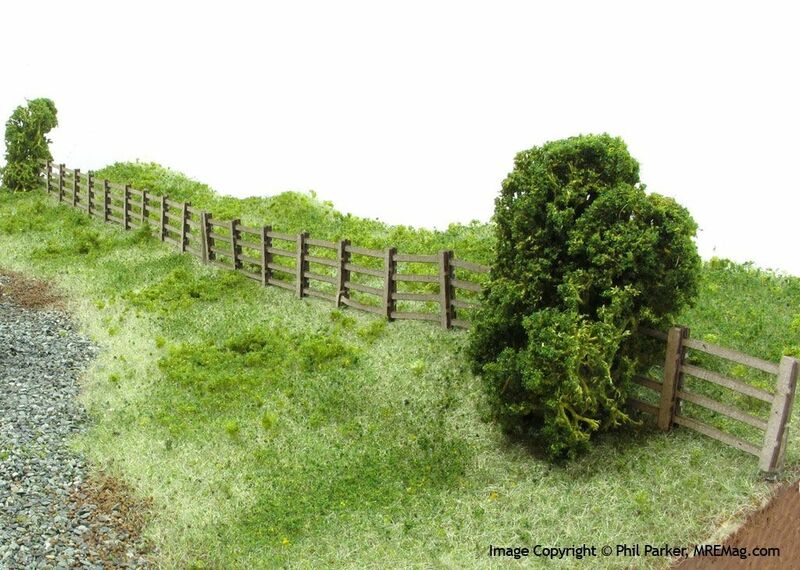 Perfect for any TT / 1:100 / 3mm model railway layout or diorama. Compatible with all makes of TT gauge model railway.